Short-term hits to Nike's stock price and sales should give way to a more passionate customer base over the longer term, a top marketer says. As we recently pointed out, companies are growing more emboldened to take stances on social and political issues — and accept the accompanying risks — during this divisive era in American history. The topic has, of course, exploded in the news this week, with Nike’s revelation of its new marketing partnership with former NFL quarterback Colin Kaepernick. The apparel company’s first “Just Do It” ad, narrated by Kaepernick, is scheduled to air tonight on NBC during the league’s season-opening telecast. 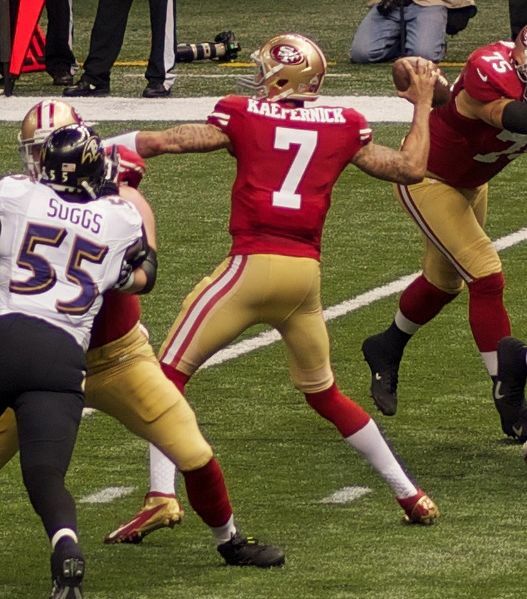 Given hot public sentiments for and against Kaepernick — who’s become far more famous for kneeling during the national anthem than he ever did for his in-game exploits — it was predictable that news of the marketing campaign would trigger both hearty applause and calls for a boycott of the company. Indeed, just as the president caters to his base, Nike is catering to its own. The company’s target audience and actual customers are overall younger and more diverse than the anti-Kaepernick crowd, which is generally older and preponderantly Caucasian. There was already a branding trend toward companies taking positions on socially or politically sensitive issues. But the stature of Nike’s brand, together with the high-profile nature of the kneeling controversy (and the charges of police brutality toward African-Americans that triggered it), could work to accelerate the trend. Because of Kaepernick and other NFL player’s lack of respect for the American flag, I no longer attend or watch NFL games. I will now do the same with Nike and stop buying their products. Dumb move by Nike. I still watch NFL because I enjoy the sport. I will going forward discredit Nike from this point forward with family, friends, circle of influence etc. They have lost sales and they may or may not even care however, I think their brand will be forever tarnished in the US marketplace.